In recent seasons, The Challenge, MTV’s dramatic physical slash mental competition series, began to court contestants outside of The Real World and Road Rules franchises. They started by bringing in cast members from MTV’s relationship show Are You the One? then slowly introduced Big Brother and Ex on the Beach alumni. The introduction of these fresh faces was initially ALARMING and frankly many of them were boring, but this changed once they got inducted into the petty system of The Challenge. For better or worse, the field is getting even bigger. 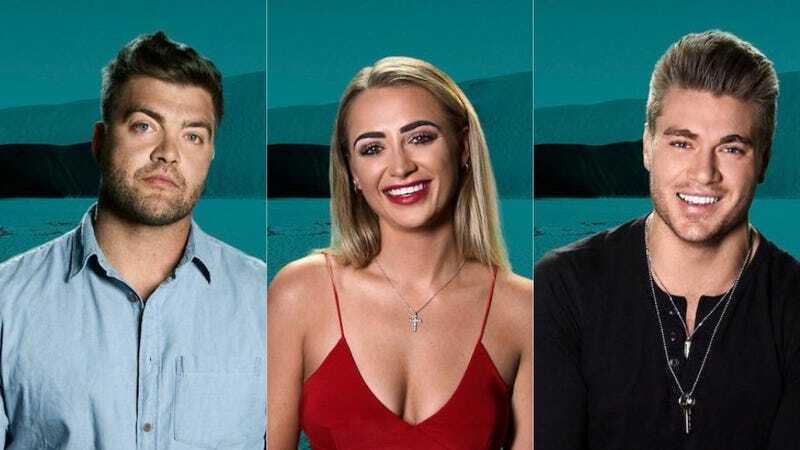 The upcoming season will feature contestants from every reality-TV walk of life, including Floribama Shore, Love Island, American Ninja Warrior, and the British reality show Geordie Shore. There’s a cast member from Ex On The Beach Brazil and one from Survivor Turkey (??) and another from Bachelor Canada??? This is how the apocalypse begins. According to MTV, on The Challenge: War of the Worlds “Challenge legends will team up with rookie reality titans.” The veteran cast includes CT, Johnny Bananas, and Cara Maria, who’ll have to form alliances with a lot of unfamiliar faces. The season premieres February 6.